Whether you are going out for Halloween or simply heading to a themed party, this article contains a few 80’s costume ideas for men that you can execute! Some people like to create their own do-it-yourself Halloween costumes, and others simply like to head to the store and buy them. With that being said, you will find a variety of DIY and store-bought costumes being described throughout this piece of writing. The television and movie theater were unbelievably popular throughout the 80s, so most of these costumes are based on television and movie characters. 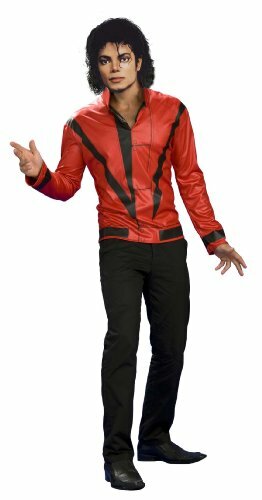 A great 1980s costume is one that is easily recognizable; people should know who you are trying to dress up as immediately upon entering the room. With that being said, all of these characters and entertainers are easily recognizable, so people will know which 1980’s costume you are wearing as soon as they see you! There are two options when you have chosen to dress up in a Miami Vice costume. You can choose to dress up as Detective James Crockett (otherwise known as Sonny) or Detective Ricardo Tubbs (otherwise known as Rico). Both of these are awesome 80’s costume ideas, so feel free to choose whichever one suits your taste better! -Wear a dark grey suit with thick pinstripes. -Pair a dark grey dress shirt with a pink or purple tie. -Get a small afro wig; nothing out of control, but a small afro is perfect. Miami Vice characters are the perfect 80s costume ideas to execute on Halloween. They can also work wonders at a retro themed party! Magnum PI was a popular private eye television show that aired in the 80’s. It starred Tom Selleck solving crimes around Oahu while driving a Ferrari! I think that Magnum PI’s private investigator is one of the best 1980s costumes that you can wear. It is easily recognizable, and can be created mostly from the clothes and costume accessories that you already have in your closet! -Put on a navy blue Detroit tigers baseball cap. Make sure to wear it loosely around your head. -Either grow your own mustache, or head to the Halloween store and buy a fake one. The mustache should be pretty thick! -Wear a pair of island sandals. Try to choose comfortable ones, because you will probably be in this Magnum PI costume for a while! The goal here isn’t to dress up as Tom Selleck to a T, but to utilize some of the same pieces of clothing and accessories that he does! This is the perfect 80’s costume for Halloween because it is comfortable, and can be worn for hours on end! 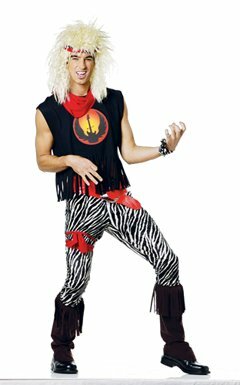 Rock stars dominated the era, so dressing up as a guitarist or drummer from a popular band are some of the most popular 80s costume ideas that you will come across!! Slash was the guitarist for Guns N Roses, and was a man that all of the ladies loved! In order to ensure that you look like Slash from Guns N Roses, you should be sure that your Halloween costume includes a wig with very long and curly hair, a top hat, and a guitar. I would not recommend bringing a real guitar around as you go trick or treating; but rather, I would head to a costume store and buy a fake guitar for a few dollars! It really doesn’t matter which of these 80s costume ideas that you choose to execute...each of them is recognizable, comfortable, and will attract a lot of attention on Halloween!